Hello Refashion Co-op. It is getting warmer and warmer. It's warm enough for a T-shirt. At least it is where I am. It is nice to see warm weather. That means all new refashion and sewing possibilities. 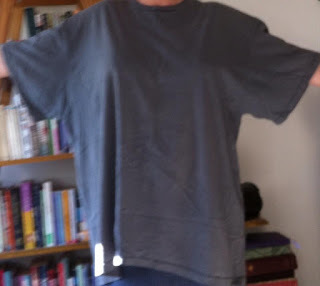 I started with this BIG men's T-shirt. It was just a thin, plain, gray shirt. It needed some kind of change. I had already cut off the bottom pieces of this shirt for a past project that didn't work out. I removed the hem. I used the other two strips and attached them to the bottom as a ruffle. 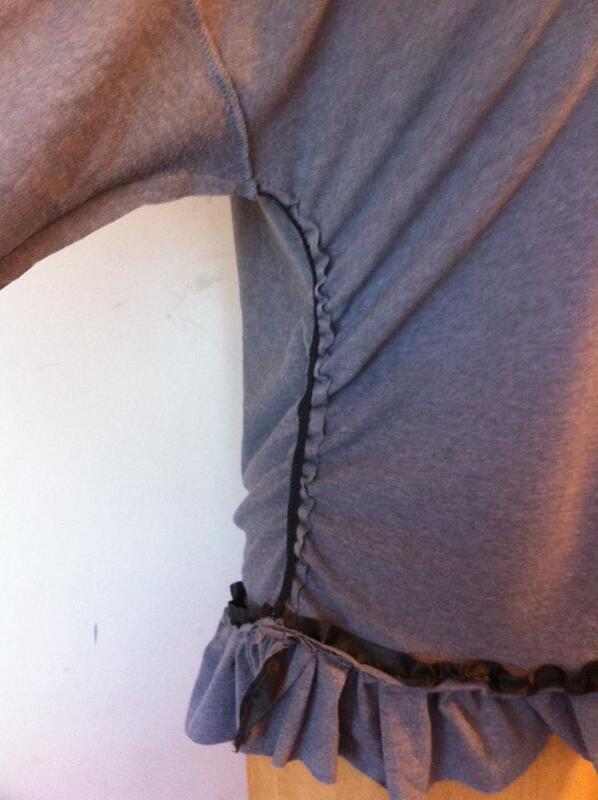 I used elastic to gather up the sides and cut off the sleeves. The side gathers made it very flattering over my mommy tummy. I loved it. I also cut off the neck binding so it would match the raw edges of the sleeves and the bottom hem. 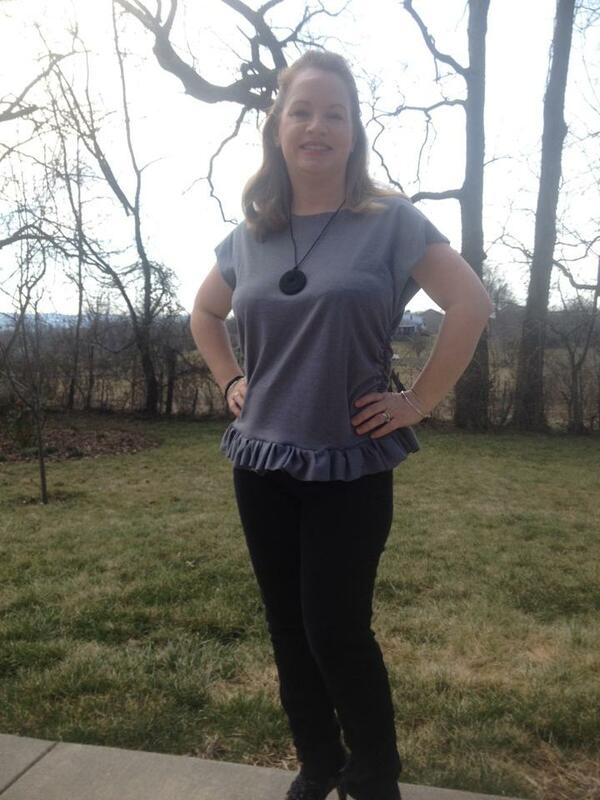 The shirt is comfortable and looks a little dressier than a plain T.
Love the finished shirt! So cute, I may have to do this with some of my shirts! 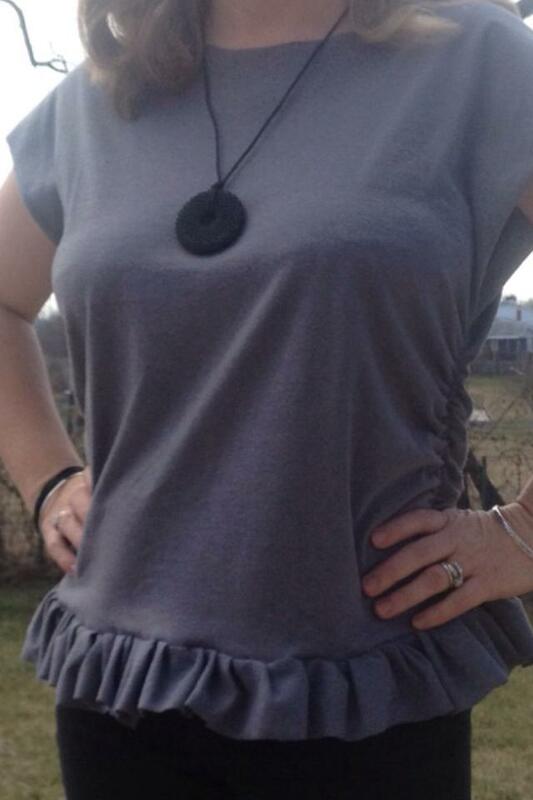 Cute update to a plain gray t-shirt!